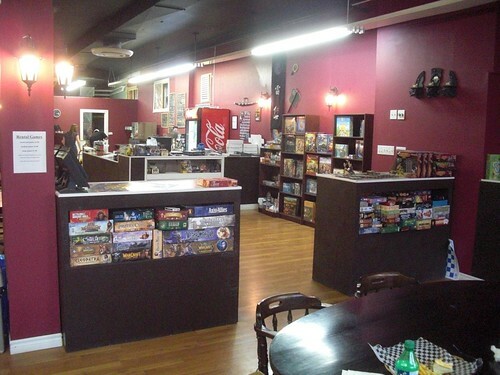 Anyway, I had fun in Thunder Bay, since I found a really cool gaming cafe, and talked to the owner for a bit. He's been running it for about 6 months now, the extensive collection of games (perhaps 100 in all?!?) he mostly owned before he even opened the shop, which is telling! Anyway, he's got a great space, and I gave him my best wishes for success. In Sault Ste Marie, I stayed in an odd hostel, it's an old historic building right off the downtown, but it's only partially owned by the hostel, and there is a separate bar on the ground floor. The rooms were ancient! I even had one of those old hot water radiators. On the up side, the rooms were totally private - not dorm rooms. Apparently the place used to be an HI, but the old owners had some kind of fight with HI and so that deal ended. The new owners are associated with Backpackers, and trying to drum up business. 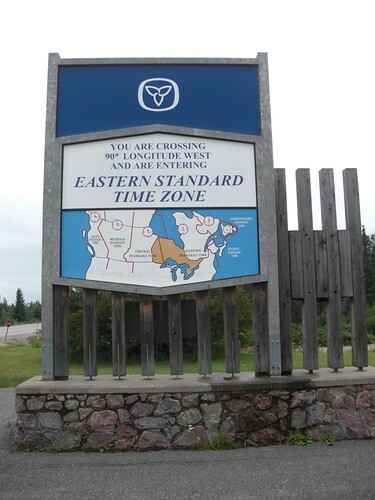 I also toured around downtown The Soo, but I didn't find anything very interesting. It's pretty; the walk along the water is excellent. The Precious Blood Cathedral is awesome (clearly vampires named it! ).